The Lincoln Stars will look to snap a four-game winless streak this weekend with a Friday home tilt against the Sioux City Musketeers, and a Saturday road game against the Omaha Lancers. The Stars are currently in seventh place in the USHL western conference with a record of 5-9-3 (13 points), one point ahead of the eighth place Waterloo Blackhawks. Click here to view the current league standings. Lincoln's opponent Friday night at the IceBox will be the Sioux City Musketeers, who sit comfortably in first place in the USHL western conference with a record of 14-5-1 (29 points). This will be the fourth of six meetings between the Stars and the Muskies this season. Lincoln is 1-2-0 in the three prior contests against Sioux City. Last week on Thanksgiving night in Sioux City, the Musketeers blanked the Stars by a score of 3-0. It was the first time this season that Lincoln was held scoreless in a game. The Stars will be holding their annual "Teddy Bear Toss" during the Friday night game against Sioux City, as well as their annual "ACS Breast Cancer Jersey Auction." Busy night for the Stars' staff. The Stars were originally supposed to wear the special ACS jerseys back on November 7th against the Musketeers, but that game was rescheduled due to an on-ice issue. Click here to read more about the two Friday events. Bring your new stuffed animals and your checkbook for the jerseys. Saturday night in Omaha, the Lancers will host the Stars for the first time this season at the Ralston Arena, in Ralston, NE. The Lancers currently sit in fifth place in the USHL western conference with a record of 7-7-4 (18 points), five points ahead of the Lincoln Stars. This will be the second of eight regular season meetings between the two bitter rivals. Just two weeks ago at the IceBox, the Lancers bullied the Stars around on their home ice and beat the good guys by a score of 4-1. 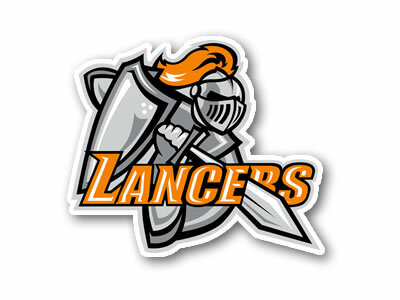 Interestingly, the Lancers are a much better road team (5-2-2) so far this season than they are a home team (2-5-2). The Lancers were dealt a big blow to their roster this week when it was announced that goaltender Hayden Hawkey tore his ACL and MCL and will miss the remainder of the season. Big, big loss for the Lancers. Hawkey was the USHL Goaltender of the Year last season, and was supposed to be the #1 guy again this season in Omaha. Considering how the Lancers have struggled to score goals so far this season, having one of the top goaltenders in the league in Hawkey was certainly a plus for them to fall back on. Now, the Lancers won't have that. Look for '97 goaltender Kris Oldham to likely start for Omaha against Lincoln this Saturday night. Oldham has only 6 USHL games under his belt. Attention! There will be two volleyball games played Friday night at the Devaney Center, so be prepared for another potential UNL parking mess. There is a game at 4pm, and then the Huskers will play their game at 7pm. Be prepared and leave earlier than you normally would. Sorry for the short recap! It's been a busy week for me at work, so not a lot of blogging time.